The Russian IT market is growing fast, but the number of problems that have come to the forefront are proving to be a serious threat. It seems clear to both financial institutions and independent analysts that the Russian information technologies market has recovered completely from the 2008 financial crisis. Russian Minister of Communications Igor Shchegolev has reported that the country’s information technologies market saw a growth spurt of 14.6 percent in 2011, and the Ministry of Economic Development predicts that the market will grow by 15.8 percent in 2012, and by 18.1 percent in 2013. The stock analysis center Infin wrote in a recent analytical report entitled “Targeting the IT Market” that the market could very soon return to the volumes and growth rates witnessed before the crisis hit, as long as nominal GDP grows by 18.5 percent annually and the ruble continues to strengthen. Currently Russian IT companies control 1 percent of the global market for information technology product and services, worth roughly $16 to 20 billion. The Ministry of Economic Development forecasts that the volume of the Russian IT market will hit $32 billion by 2013. But behind these positive numbers are questions about the sector’s overall potential. In 2011 the World Economic Forum rated Russia 77th in the world for growth in the information and communications technologies sector and 3rd among resource-oriented countries. Today Russia exports at most $1.5 billion of IT services, and no more than 300,000 people work in the country’s IT industry. Hardware continues to dominate the Russian IT market, making up more than 50 percent of the sector. In contrast, hardware is only 30 percent of the European IT market. The rest of the segment there belongs to IT services (50 percent) and software (20 percent). One place Russian companies hope to compete with international players is in cloud technology. Although this sector is fairly small at the moment, Chernyshov believes its growth rates will blow away similar figures across the entire IT services market in the period up to 2015. The Russian government is a major promoter of cloud technology. One project in the works is a national cloud service for organizing inter-departmental computerized interaction. It will also provide state and municipal services to the public. Market intelligence firm IDC predicts that the value of the cloud services market in Russia in 2015 will reach $1.2 billion. In 2010, the market was valued at just $35 million. Cloud technology is one of 15 priority areas supported by the Skolkovo Innovation Center, the government’s “Silicon Valley” rising outside of Moscow. Cloud technology is part of Skolkovo’s information technologies cluster along with multimedia search systems, video and audio processing and recognition, mobile applications, complex engineering solutions, green information technologies, wireless sensor networks and more. The Skolkovo project is just one way the government has ramped up its support of the sector over the past two to three years. An increasing number of state agencies are now accessible online; various information projects have begun, and the state has stepped up its war against pirated property and commercial raids. Moreover, the government has talked of developing online media and the commercial operation of fourth-generation networks. State-sponsored industrial parks are emerging, and the government has introduced special economic zones that have reduced taxation and other benefits. But because the Russian government has suddenly become the biggest customer on the IT market, many companies are being created to serve governmental purposes, which has both positive and negative consequences. For one thing, it makes the sector much more sensitive to changes in the state budget. Growth in the IT sector lags three to four months behind that of other sectors, such as manufacturing, partially for this reason. Additionally, the state does not have the best track record in developing IT projects. For example, the federal target program Electronic Russia (2002–2012), which was deemed a failure and was replaced by the state program Information Society (2011–2018). Moreover, the state program for creating high-tech technology parks, which was supposed to use 10.3 billion rubles ($342 million) to create 10 development areas by 2010, was suspended mostly because of disappointing results. The program was later extended until 2014 and given an additional earmark of 13 billion rubles ($432 million). “Officials just need a tick in the documents while business is focused on the profit,” said Ilya Rachenkov, an analyst with InvestCafe. But government support is needed to make any positive developments in the system and even skeptics admit that its influence is not all bad. Nevertheless, both Rachenkov and Chernyshov believe the private sector would do a better job in developing the IT industry than the government. Even here, however, there are barriers to entry. Russia’s IT market is dominated by several big companies. The top 10 Russian IT firms accounted for 70 percent of all revenue earned by Russia’s top 30 IT companies. These top 10 control 54 percent of the Russian IT market – 5 percent more than in 2009. Although Konstantin Chernyshov notes that none of the companies alone controls the lion’s share of the market and so there is still hope for IT start-ups, new companies struggle to receive funding. Additionally, they suffer from high taxes on labor, which come to roughly five to 10 percent of company expenses in non-commodities industries, cut into profits. For companies willing to pay the labor costs, there are other problems. Foreign competitors such as Apple, HP, Foxconn and TrendMicro are entering the Russian IT market in droves, and this expansion will only increase after Russia joins the World Trade Organization. These companies have notable financial resources and leading technologies to attract Russia’s top IT specialists. “Many foreign software companies already have Russian specialists on staff,” said Rachenkov, and this is likely to increase as these companies establish themselves on Russian territory. And despite the country’s reputation as a source of top software designers and engineers, the reality is that the pool of actually qualified specialists is limited. “Sometimes you have to wait for months to fill any given vacancy that requires knowledge that you would be hard-pressed to call specific,” said one company representative, who preferred to remain anonymous. Although Russoft saw a 17 percent gain in the export of software from Russia (up to 3.1 billion dollars) in 2010 over 2009, analysts believe imports will continue to form the majority of the Russian software market. Experts believe that the future of the IT market is in the Russian regions. The country’s IT sector is currently concentrated in Moscow and St. Petersburg, but more and more residents outside these major cities are coming online, and the number of Internet users in the regions is expected to explode in the next five to 10 years. Other potential growth segments include search engines and navigation software, according to Ilya Rachenkov. This is due to opportunities and challenges that make the Russian market unique. The complexity of the Russian language has allowed local companies like Yandex to dominate the market for search. Google is a distant second in the Russian search market. While the finally active Glonass – Russia’s answer to GPS – has stimulated development in navigation. 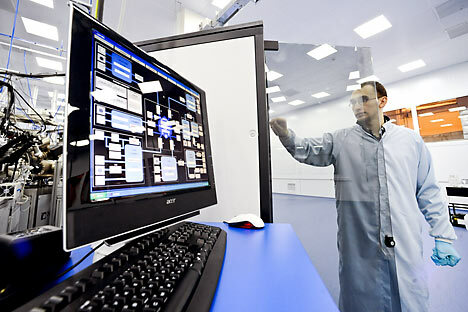 But overall growth in the IT sector, like in the rest of Russia’s economy, will depend on real economic growth, an increase in investment activity, stabilization of the country’s financial and political situation, an increase in personal incomes, a stable exchange rate, moderate inflation and benefits that can encourage new enterprises to form.